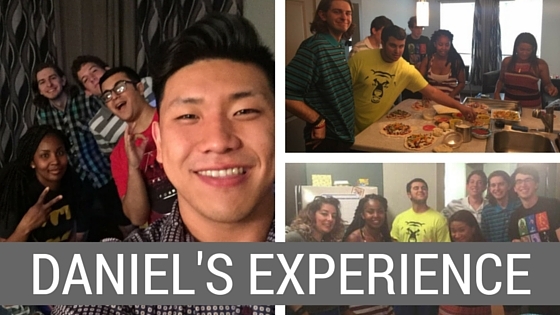 Daniel Chae, a college student at Baylor University in Texas, decided he wanted to have spiritual conversations with his fellow students, so he stepped out and launched a Q Place! You can experience what Daniel has by teaming up with one or two other followers of Jesus and getting started! Starting with a nucleus of other believers creates a strong core, provides mutual support, encourages spiritual victory, helps with the practical details, opens up a wider range of friends to invite, shares the burden of discernment, and provides a strong structure for multiplying your group down the road. Starting a Q Place is as straightforward as what Daniel did at Baylor: Pray and look for other believers who are seeking to love God and love people and then do it! Where could you start a Q Place? Maybe it’s at your college or your work. Maybe it’s with golf buddies or friends who are training for a marathon. Wherever God is leading you, team up with a couple other followers of Jesus, get started, and then celebrate!